Whatever you can say about Leni Riefenstahl (1902-2003) and plenty of people have said (and written) a lot about her, she led a fascinating life. She was beautiful and talented. She was a woman in a man’s field. She made her career during Hitler’s Third Reich. Despite (I am almost convinced because of) her demonstrated talent she could not escape historical contamination attached to her during the last 5o years of her life. Leni Riefenstahl, dancer, mountaineer, actress, a trail blazing film director and cinematographer, an accomplished still photographer finally became a writer. This list makes almost speechless. By all accounts, she was not a particularly pleasant person, who manifested an extreme degree of ego, certainly grabbing and creating opportunities. Leni Riefenstahl solicited Hitler’s attention and had very sharp elbows in her professional life. Her childhood in the Wedding district of Berlin during the 1920’s particularly gives insight and helps enormously in explaining the environment out of which Leni emerged. She was the daughter of Alfred Riefenstahl, a prosperous businessman and Bertha Sherlach. By her own account she was a tom boy, pursuing her goals relentlessly. Leni’s three and a half years younger brother, Heinz, would later die in Hitler’s war on the Russian front. Young Leni lived at home until she was 21. Against the wish of her father, she studied dance and was soon performing in Munich, Berlin, and Prague. She was promoted and encouraged by the famous Max Reinhardt, but had to give up dancing because of an injury. Because of this, she became an actress in avant-garde movies and gradually slides in the film business. In the 1920s and ’30s, Riefenstahl appeared in a series of so-called Bergfilme (nature movies) directed by Arnold Fanck. The plot of such films was secondary to the spectacular scenes of the Bavarian and Austrian Alps. The central theme was always human surrender to the power of nature. Dr. Franks approach to his actors was physically tough. In the picture above, she must perform free climbing fifty years before it was “invented” in California. Here she discovered her love for nature, becomes professional mountaineer and acts during the most difficult shots without any double. The often confusing conditions on the set brings her also behind the camera. Her amazing talent starts to show. Those early years played a significant role in shaping Riefenstahl’s own visual approach to film-making but particularly in understanding the importance of the cutting of a movie for dynamic effects. The first film, which she directed “Das blaue Licht” (“The Blue Light”) 1932, re-edited and cut 1951) is a milestone in the history of film with excellent international recognition. In the film, Riefenstahl played a peasant girl who protected a glowing mountain grotto, the main role of Junta which is a sort of witch despised from the ordinary people. Later she will say this girl Junta preempted her life. In 1932, this film won the Silver Medal at the Venice Film Festival and attracted the attention of Hitler. He is said to have believed that the image Riefenstahl created for herself in “The Blue Light” epitomised the ultimate German woman. Sieg des Glaubens (1933, Victory of Faith), filmed at the Nuremberg rallies of 1933, was basically a practice run for Riefenstahl’s much better direction “Triumph des Willens” 1934. It took her five months to cut this movie, and the movie is undisputed the best documentary ever made. Suggestive shots (“The Power of the Pictures”), instinctively utilized Archetypes and Symbols at that time described from C.G. Jung. Absolute mastery of light conditions – particularly light from the opposite, dynamic cut of the scenes filmed from multiple innovative camera angles is still taught in movie schools and those techniques still used even in today’ advertizing clips and movie industry. 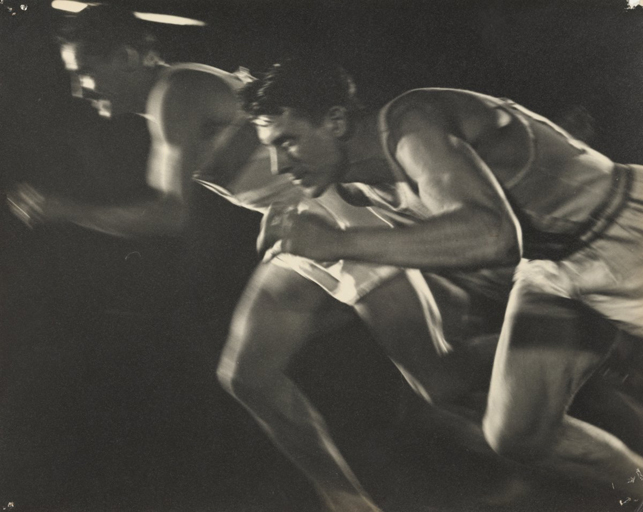 Riefenstahl’s great success was filming the 1936 Berlin Olympics, no minor undertaking. For Olympia she had to manage a total crew of 60 cinematographers and shoot over 400,000 meters of film. In the process, Riefenstahl invented or enhanced many of the techniques we now take for granted: slow motion, underwater diving shots, extremely high (from towers) and low shooting angles (from pits), panoramic aerial shots, and tracking systems for following fast action. Riefenstahl ensured that every event was covered, and from multiple angles. Hans Ertl was her lead cameraman in many films also her Olympia film. During World he was supposedly a lover of Riefenstahl. In the mid 1950’s he resettled in Bolivia and became father of the guerrilla Monika Ertl. However, Riefenstahl was proud of Olympia, that her pictures were not limited to the strict confines of documentary but also art. When she felt she had missed an angle or had been prevented from getting close enough during the official competition, she was known to invade the Olympic Village, even rousing medal-winning athletes from their sleep to re-enact their events for her camera crew.. The result is considered a brilliant cinematic masterpiece. Olympia premiered at on Hitler’s birthday, April 20, 1938 an became a grandiose success. On more than one occasion she mentioned her art approach versa the “Wochenschau” approach of the state run propaganda film industry. The Nazi propaganda minister Goebbels hated her for many reasons (for her access to Hitler, her excessive need of cameras which were scare at that time and other more profane reasons). It took over a year until the film Olympia was cut and is listed and is Riefenstahl’s greatest success. The documentary won international awards and prizes. Her next major project was “Tiefland” in which she played a gypsy heroine. Filming took her out of Germany and to Franco’s Spain. By the time the war ended, Riefenstahl had yet to edit the film and it was impounded during the denazification tribunals. She wrote film history. Period. After the war, the tides suddenly turn. 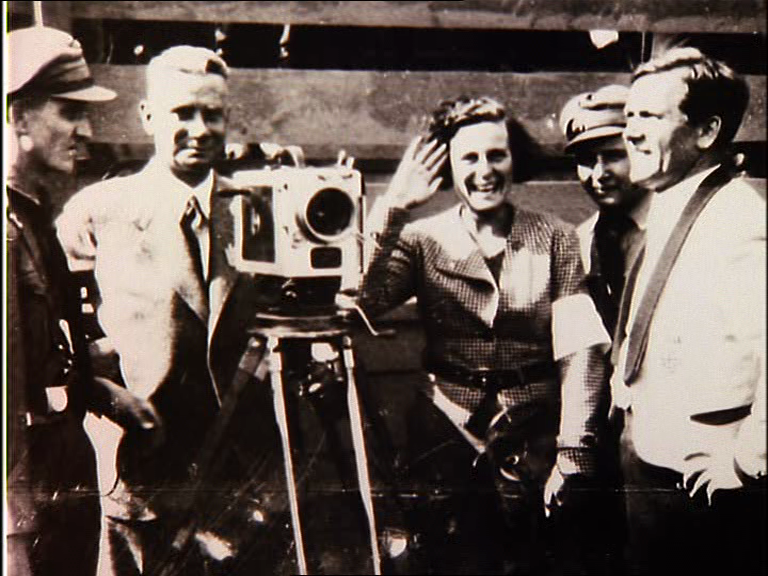 The name of Leni Riefenstahl was brought over and over again in connection with the atrocities of the Nazis. Riefenstahl had to face Allied charges that she was a Nazi or a Nazi sympathizer. Her close ties to Hitler and her propaganda films, most notably Triumph of the Will, made her an obvious target. The Americans officially “denazified” her “without prejudice” on June 3, 1945, but she effectively became blacklisted, subsequently shut out of the film industry and continuously smeared by the press. The performances of her films are thwarted, and her new projects sabotaged. Finally, Leni Riefenstahl is forced to give up directing, although she tried again and again despite endless disappointments. She began a lifelong companionship with her cameraman Horst Kettner, who was 40 years her junior. The press and “their opponents” grant her lifelong “film ban”, which draws her into away to Africa, where she is an unknown. There, within the Nuba tribe in Sudan, she finds a new objective. She photographs this unique indigenous tribe people and falls in love with Africa. All of their numerous attempts of new film projects failed, however. Riefenstahl encountered resistance from too many quarters. There was almost no prospect of getting a Riefenstahl film shot, much less shown in most of the world. So, she turned to the next best talent; she took up still photography. She lived for a time with the native tribe in Africa recording images published in two photographic essay books. Again, her photos become a sensational success. 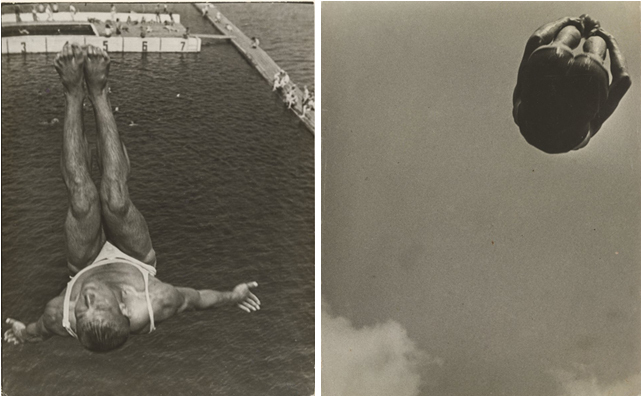 Publishers and newspapers dare to publish pictures of the Riefenstahl three decades after the war. Again there were hostile and slander activities. Finally, however, this paradise in Africa dies. The natives got “help” by the socialist Government like the American Indians. She found a new passion, scuba diving in 1970s at the age of 72, and has continued doing astonishing underwater shots and movies into her 90s. But illness and age ultimately force her to “retirement”. Finally, she writes her “memoirs”, the book of her life after the publishers crave for It took her five years, a work strong over 900 pages appears. After so many untruths, which has been published about her person in numerous biographies, she finally published her own version of her life – her life, as she has experienced it, as it had been true for her. The memoirs griped me from the first to the last page. How much of what she writes here is really true, everybody must decide for him/herself. One definitely shouldn’t rely not only on this a book to learn about the person of Leni Riefenstahl. Relying on her opinionated critics and to make a judgment without her own statement is not save either. She writes subjectively, what she felt and feels and I do believe most of it. Indeed it is like she writes in her last line of the book “not a happy book”, but I think it is very worth reading. It is a well written superb document of her turbulent life and a report, how devastating media lies can harm individuals and an incredible chronic how much strength and power a single human being can have. Hitler s mentioned only a few times but the book still is probably the most sophisticated personal account of Hitlers private life seen through woman’s eyes. Although acquitted by American, French, and German authorities, she became the one who was handed over all the guilt. Others, who had done worse, eagerly confessing and denouncing what they had done. She never admitted political intentions in her work and insisted that Hitler was privately a nice man. Leni Riefenstahl still insists to separate her art work strictly from a possible political responsibility. Because Leni Riefenstahl refused an admission of guilt, there was no “discharge” in published and public opinion. Worse, throughout her life she made it clear, that she was once fascinated by Hitler’s charisma. She admitted that she was blinded as many millions of other German and many Non-Germans. Other artists, who had their “contact” with the Nazis, such as Heinz Rühmann, Luis Trenker (with whom she appeared in the nature films) and the famous Gustav Gründgens behaved after the coup d ‘ état “glibly”. They managed seamlessly to transfer back to the German (art) mainstream in the 50ties, the time of the “Wirtschaftswunder”. Even the director of “Jud Suess”, undoubtedly a vicious propaganda movie, was treated better by press and public opinion. Defamation of person appears up today, beyond her death with stubborn regularity. An exhibit of Riefenstahl’s movie stills and her African and underwater photographs in Hamburg in late 1997 brought out a whole new generation of protesters. There must be more behind these 50 years of hate against her, than only hypocrisy. It has been a classical projection of Germans – especially of the journalists and artists – who wanted to forget their own opportunism and maybe even mediocrity. Ray Mueller’s excellent documentary is a fascinating, if somewhat long (188 min.) look at her cinematography achievements from her point of view. It is a must buy for everybody who is interested in movies and/or history. The documentary starts disastrous, blending Nazi propaganda clips and Leni Riefenstahl work with the sound of Nazi drums. During the entire documentary she ridicules Mueller’s directing style and wants the movie shot differently. And she is quite right – even if the documentary won prices, it has it has major flaws. He, however, keeps trying to steer her towards the politics of Germany in the 1930s and to admit the political responsibility for the events until 1945 almost in a cross examination manner. These unusual interviewing style shows involuntarily highly interesting results and discovers the truth by chance. Both let down their mask, for the first time. I understood why (IMHO mediocre so called) German intellectuals blame this outstanding artist and I understand the artist naive (if not even amoral) attitude toward art and powerful pictures. At that point I became convinced Mueller’s clumsy personal style, and that Riefenstahl and he never seem to hit it off was the biggest asset of this documentary. Ray Mueller’s trailer mentioned above, which was neither subtle (more of a bad abuse), nor professionally done was a provocation to get Leni Riefenstahl. When this documentary was made, Leni Riefenstahl was already in her nineties, but she still acted quite tough with an street wise Berlin accent. The key moment of this documentary to me, is when they discuss “Triumph des Willens”. Mueller seriously asked her if she was involved in choreographing the Nuremberg rallies of 1933. She laughs at him saying that Speer and Hitler himself did that. But that’s exactly the point; he / the political correct media blamed her not only for the Nazi propaganda and its powerful appeal to the unconsciousness via Archetypes and Symbols but basically for the reality the Nazis caused – the German history. Projecting the collaboration sins of the German intellectuals on her, she become all good and she all evil. Then, when Riefenstahl explains a particular shot, in which some Nazis walk down steps like in a ballet she got carried away too. She looses all distance and it becomes clear she was a victim of the Nazi imago’s too, even today. Her own victim, C.G. Jung almost was lured by the Nazis clever use of Wotan and other Archetypes, but finally analyzed them 1936 very clearly. She fell for it. When Mueller asks her why she never apologized for making Triumph of the Will, she answers that she just documented (with great art) what she saw. She documented the messages which were there and there’s nothing to apologize for. Again she is quite right. When he let her present her relations to the top Nazi party leadership (particularly Goebbels as propaganda guru) and political developments in Germany in the 1930′s, the viewer is much more prepared to understand Leni’s activities during this years. That becomes even more clear reading her memoirs. Leni comes across as a remarkable woman and Ray Mueller with all due respect as a run of the mill “Wochenschau” movie maker and clumsy interviewer. 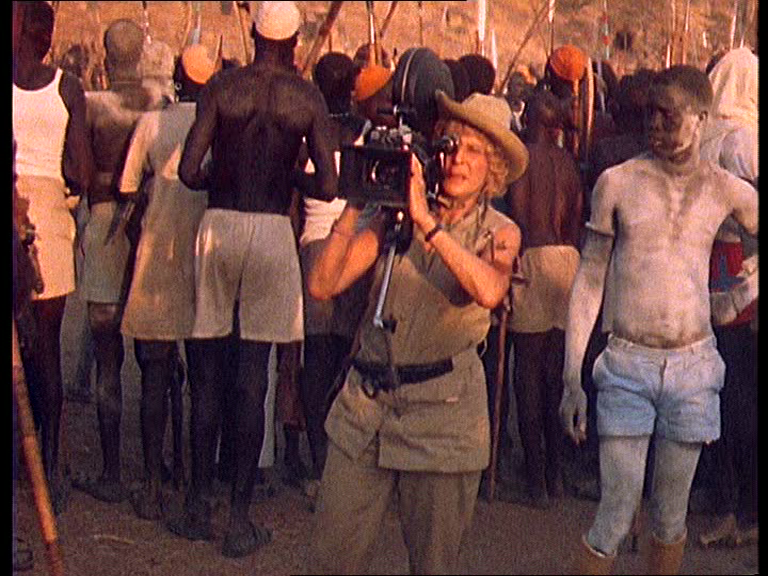 Nevertheless, the film is a not only a fascinating lecture about photography and movie techniques, but brings you as close to the truth of the person Leni Riefenstahl and the moral of art as you can get. You may not share her view, but you can’t help to admire her. She actually directs and refutes brilliantly any biased question of Ray Mueller. I think by the time Ray Mueller came closer. In the end of the first half he states that Leni Riefenstahl took over the guilt of all the Germans who refused to. In the words of Ray Mueller, “Her talent was her tragedy.” Five stars for Ray Mueller’s endurance confronted with a big ego (put politely), the result and objectivity he achieved, his courage to do this documentary and Leni Riefenstahl snappy answers. Tags: Leni Riefenstahl. Bookmark the permalink.